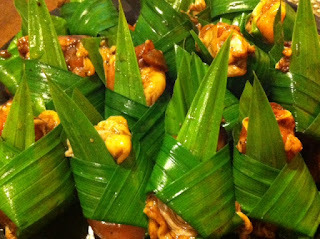 I haven't been to Bangkok but they say Chicken in Pandan leaves is just one of the best Thai dish in their list. 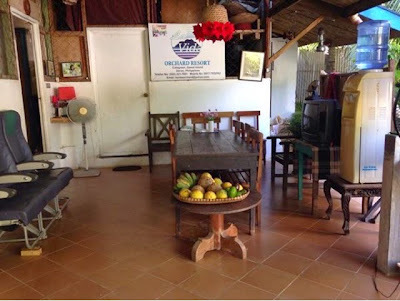 So I thought of bringing this food on my own dining table so kids can try it as well. And yes you're right, if you find yourself navigating in my blog page, you can actually try it too! by all means! Wash the chicken thoroughly in running water. Drain. Marinate in garlic, peppercorn, oyster sauce,soy sauce, sugar, lemon. Season with a little salt and ground pepper to taste. Chili sauce is optional of you want a little zing in your chicken. Set aside and marinate for a few hours. Overnight is better. 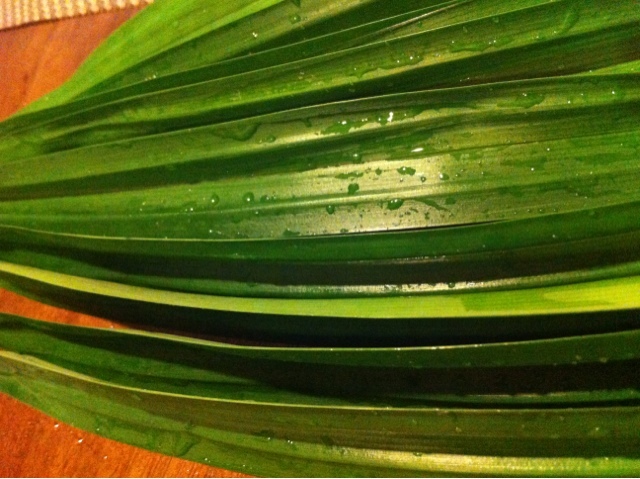 Below are photos that will guide you on how to wrap using pandan leaves. you can always modify and do your own style. 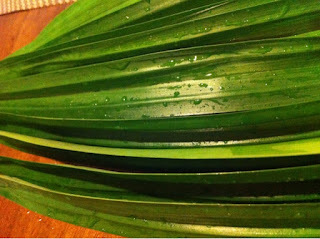 I used my own organic backyard pandan leaves. It's fresh and its healthier. Please remember that washing meat and vegetables in running water is advisable than just soaking it in a basin of water. once wrapped. deep fry until golden brown. serve crisp and hot.